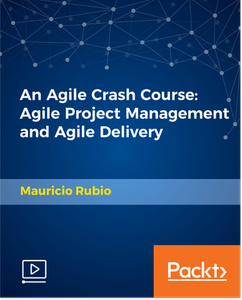 Think of this course as Agile for Dummies (or Agile for anyone and Agile for everyone). This Agile course will allow you to master the most important concepts and tools of Agile development, Agile project delivery and Agile project management. This Agile crash course has been designed to enable you to become agile the Agile way, in less than an hour! Step into my classroom and start learning about Agile now. You will learn about powerful tools and concepts that will enable you to become more successful in your projects. We will go beyond the definition of Agile, from rituals and tools, to activities, concepts, examples and reflections. So take the course now to learn what all of this means in more detail and how you can apply it to become and Agilelist.